So, I've been away... However, the siren song of fall has stirred me from my sloth! I will be doing the 13 Days of D for Halloween, and I'm actually half way through them already. I may not have quite the amount of horror films, but I'll at least be doing the two Vampire Hunter D films. Anyway, I also was in the middle of another series when I stopped, so I'll finish with the Klein Saga; thus, we have the origin of the lady herself! The Seventh Doctor sits down to clarify some details of Klein's past. We learn that the Nazi Reich in the seventies was working on time travel experiments thanks to a box captured at Colditz castle. Elizabeth Klein contacted by the mysterious Johann Schmidt in order to unlock the secrets of the mysterious blue box. 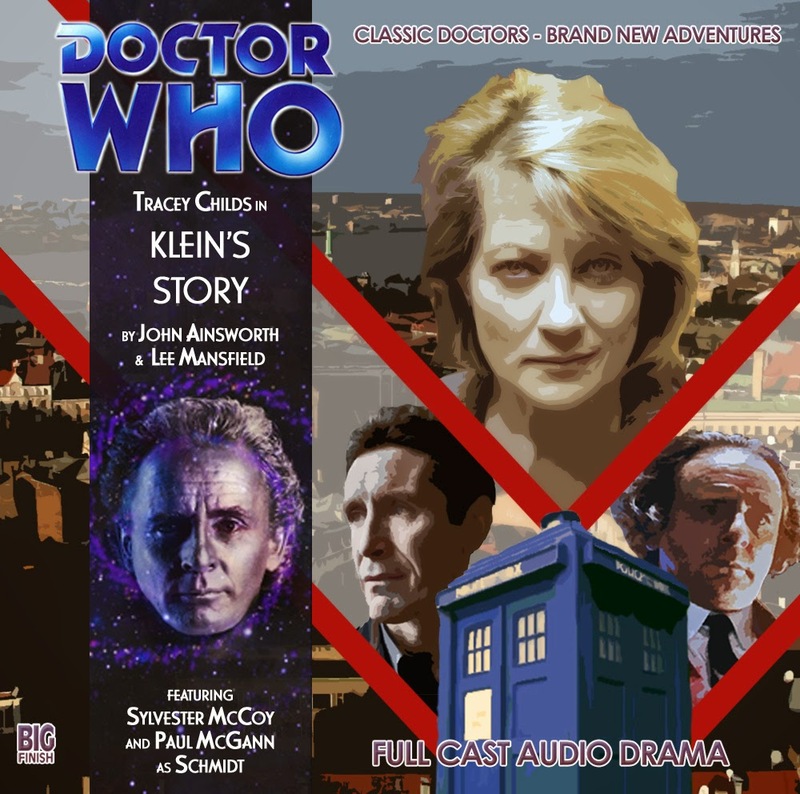 Klein's Story is actually the first episode on Survival of the Fittest where the Doctor asks Klein about her past. As I mentioned in the Colditz review, there are some muddy details about Klein's backstory that the Seventh Doctor deduces almost presciently. Klein is a true believer in the Reich but not of their more fantastical elements. She is brought on as a brilliant scientist. Her interest in time travel leads her to the box, and she is soon contacted by Johann Schmidt. This story allows the Klein in the present a breakthrough that alters her character arc. Johann Schmidt is Klein's mysterious assistant and an alternate incarnation of the Eighth Doctor.They actually bring on Paul McGann to play this Eighth Doctor and he absolutely shines. Johann must manipulate Klein into righting the timeline, managing a tenuous game with a very intelligent woman. Hitler has only recently died and his successors have decided to open alien tech that Hitler couldn't accept. This is a well formed alternate history; it reveals the lengths that the Seventh Doctor's willing to go to fix his mistakes. The Doctor reveals his deception to Klein. A great story supplementing a series of other great stories. While it may not be necessary, it pushes Klein toward her inevitable end. it feeds into her actions in The Architects of History. Klein's story is a great addition to this series.